Tomm Hulett is a director at WayForward. 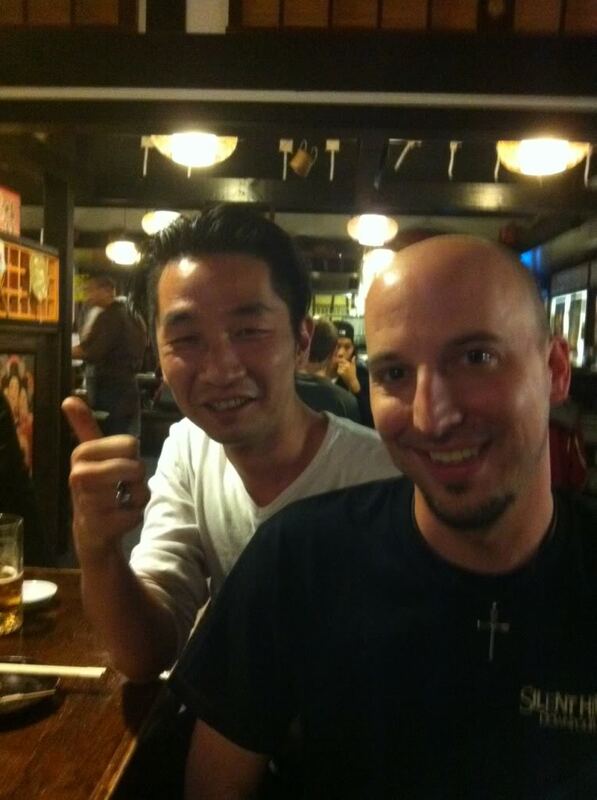 From 2006 to 2012, he worked at Konami on the Silent Hill franchise, as well as Contra 4 and Rocket Knight. He was once dumped for playing too much Silent Hill 3. It's 1999, and backed into the far end of an elementary school restroom, I’m more afraid than I’ve been my entire life. Inside a nearby stall I hear a girl crying, but it’s not my missing daughter. I know this because the door’s collapsed and nobody’s inside. I tell myself I’m alone but I don’t believe it. Not five minutes ago, I crept through a very clearly vacant classroom, only to ram into something vaguely child shaped. It slipped away like a trick of the light. I could have rationalized it—just my imagination—except for the unearthly yelp it made as it waddled off. What if it followed me? To say nothing of the actual monsters, faceless knife children, skinless dogs, and pterodactyls diving from the fog or crashing through windows. The weeping stops. I hold my breath, praying the door is locked; desperately pleading nothing can get in. That’s how Resident Evil 2 worked, but here I realize I can’t be sure of anything. This is Silent Hill. I received the game for my 19th birthday. For the three months prior, I’d been hard at work on the design doc and script for Mythri, an indie RPG I designed long before indie games were a thing on consoles. A new game seemed like a fitting reward for the hard work I’d hoped would propel me into the career of a professional game director. After Metal Gear Solid shifted my entire perspective on what games could be, my hopes ran high for the game advertised on the back of its manual: Silent Hill. In a world where Sony brought gaming mainstream—but not yet entirely mainstream—and the internet connected us, but at sub-meme speeds, rumors and hearsay could still spread. And so, mere mention of Silent Hill elicited its share of whispered warnings. “My brother played that. Messed him up for weeks.” “I turned it off at the hospital. Had to.” “Play it with the sound off.” “I got through the school and stopped. That was more than enough.” Even years later, after three entries, the mere mention of Silent Hill stopped an otherwise congenial discussion of E3 announcements with a friend from youth group. But, as the opening movie ran, I wondered if a game could really be that scary. Could anything? I’d seen my share of horror movies, played my share of games. Sure, there were tense moments, uncomfortable scenes, or moments of anxiety. I was always the kid whose heart would beat out of his chest when he reached a game’s final stage; Death Mountain, Lunar Subterrane, and so on. Not to mention dogs jumping through a two-way mirror. But those were mere moments. I’d adjust to the stage, laugh that they got me, or turn the movie off and return to my safe, normal life. The intro ends and the game proper begins. Harry Mason steps onto Finney Street. The visuals are impossible to ignore. The PlayStation platform allowed developers to create a variety of different games with any number of distinct visual styles. Sprites were familiar, polygons new and exciting, CG felt prestigious. Most games utilized a hybrid approach, and nearly every triple-A title, from Final Fantasy 7 to Resident Evil, blew their budget on detailed polygonal characters that walked on top of cutting-edge pre-rendered backdrops—sometimes even on full motion video. This was the expected norm for any “expensive” game. Or, it was, until Konami’s Metal Gear Solid. Silent Hill followed its big brother’s example by keeping a consistent visual design of 3D characters in a 3D polygonal world. The town’s humble urban sprawl spread before the player, concealed in a thick layer of fog but every inch as tangible as Shadow Moses. Yet, where Kojima’s opus was polished to a flawless sheen, Silent Hill felt raw, almost jagged. The visuals in quiet moments felt unnerving; how on earth would it feel when things actually got scary? The town doesn’t make you wait long. Cheryl, Harry’s daughter, leaves a trail down a nearby alley. About this time, the player notices the camera. To go along with the 3D visuals, the camera follows a few feet behind the player with an unnerving shaky quality that beat Blair Witch to market by six months. Often it’s positioned at a fixed angle, mirroring RE’s approach. 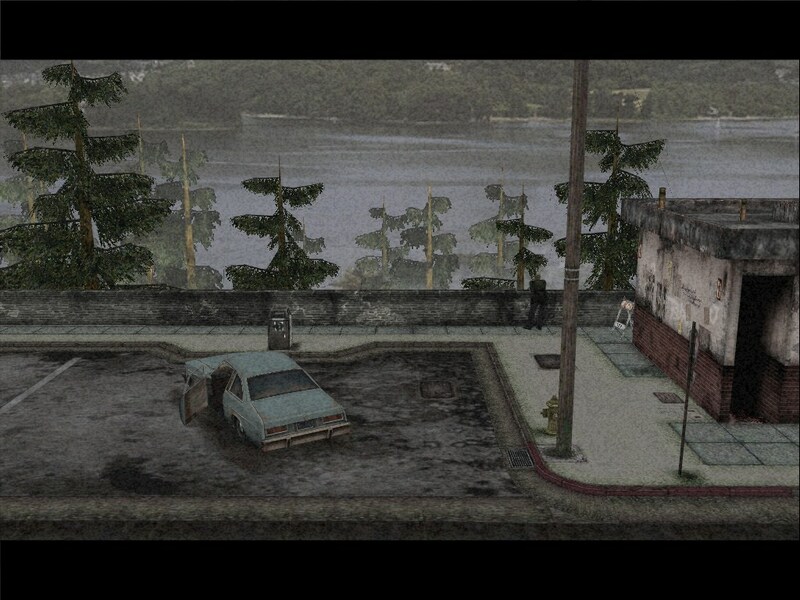 But without the limitation of CG backgrounds, Silent Hill’s fixed cameras tend to twist, pan, yaw, spin, and bend. The player is never quite certain the stability of their world. At the end of the alley awaits the first truly horrific image in the game: a mangled corpse wrapped across a rusted chain link fence. As the player steps away, they’re sure to realize they’re now surrounded by faceless humanoid creatures gripping bloodied knives. Trapped, the player eventually hits a dead end, falls to the stabbing abominations, and dies. They awaken in a nearby diner without any explanation. This opening, a short vignette of the terror that lurks without warning throughout Silent Hill, culminates in the ultimate horror film trope: killing a protagonist. This is a classic technique to shake up audience expectations with the feeling that “no one is safe” by killing what seems like a lead character. Silent Hill not only pulls off the trope, but ratchets up the anxiety by denying any sort of explanation. Cybil, a cop inside the diner when Harry wakes up, doesn’t mention finding him at all. Harry doesn’t mention being attacked or even falling unconscious—just vague speculation it was a dream. The player is left to decide for themselves, without any answers. Harry follows his daughter’s trail through town, now hours old. It leads him to shattered streets that drop off into nothing, past a basketball court I don’t want to talk about, and eventually to Midwich Elementary School, abandoned but for more of the knife children. The barreling onslaught of dread since the game began is so oppressive that when the player opens a locker and a helpless cat leaps out, it’s almost a relief. This cute jumpscare is a quaint reminder of what survival horror meant until two hours ago. Just when the world starts to make its own type of disturbing sense, Harry stumbles into the Otherworld. Rusted over with chain link and steel plates as far as the eye can see into the darkness, this alternate dimension is a twisted echo of wherever Harry had been moments earlier. At Midwich, this involves emerging from a service shed after adjusting the boiler. Later, it can involve so little as walking through a door and hearing the sickening sound of the lock falling into place behind you. It’s somewhere around here that players may notice the music. A soundscape that has been building, gradually closing in around them until it strikes, pounding and cacophonous industrial noise, an aural embodiment of their own anxiety. But the Otherworld is more than Dark Hyrule. It's more than an excuse to replay the same environments twice. "It's too evil. Like, it actually feels evil." As Harry explores Silent Hill, he comes to learn about the connection his daughter shares with it, specifically with Alessa, a young girl who was tormented during her time at Midwich. He’ll meet her mother, Dahlia (a devout if unhinged practitioner of the local religion), Michael Kaufman (the head of medicine at Alchemilla Hospital), and fan-favorite Lisa, a nurse well acquainted with Alessa. These characters and the Otherworld embody the true horror of Silent Hill, and its most enduring characteristic. While the survival horror games of the time were content as campy shock fests full of overblown gore, the evil of Silent Hill is not at all divorced from our reality. Resident Evil 2’s William Birkin infected himself with the G Virus, mutating him into a gross movie monster and orphaning his daughter. In contrast, fanatical Dahlia burned her daughter alive in a ritual to revive a demon god. Kaufman kept Alessa alive using the same drugs he peddled throughout the town, enslaving residents and tourists alike. And Lisa, desperate to offer Alessa some form of comfort, is driven mad by her dark errand. The Otherworld, then, is Alessa’s rage, given form and afflicted across the town. Cults, drugs, and madness. These are demons that haunt real people. E3, 2001. I’m staring into a grimy and forgotten roadside restroom. Staring back is a man lost in reflection. James Sunderland, protagonist, his demons hidden in plain sight. Guilt, loss, sexual frustration, shame. He sighs. This is the Silent Hill 2 trailer, one of many trailers projected onto the traditionally enormous screen at Konami’s booth in an endless loop. A year prior, bathed in the reflected light of Metal Gear Solid 2 and Zone of the Enders, I promised myself I’d find a way to work with Konami. True to my word, in a few short hours I have a scheduled meeting to pitch them on a concept for a story-driven Gradius title. But I’m miles away from the Vic Viper, Big Shell, or Mars. I’m back in that sleepy resort town. Even on my fifth viewing, I could make little sense of the footage to follow. New, intriguing characters spoke with a dreamlike detachment and bleeding edge facial animation pulled players, screaming, into the uncanny valley. Masahiro Ito’s masterclass of creature design—oddly-limbed fleshbags hobbling out of pitch blackness, shrieking. It concluded with the jagged whine of Pyramid Head’s knife dragging along concrete, a sound that would slip beneath my skin and burrow somewhere unknowable. I had to play Silent Hill 2. I’d wondered ever since finishing the original game how Konami might continue the series. After all, the challenge of telling a complete story with complex characters and development is that the story is over at the end. There was only one logical thread left open (which Konami would indeed explore in the third game), but how long could that go on? It seemed impossible to imagine Silent Hill wouldn’t continue indefinitely after leaving such a mark on the genre and differentiating itself from Resident Evil, which, at this point, was already on its fourth entry. That first trailer, and the interviews that soon followed, answered my questions immediately: Silent Hill would be a horror anthology, a series of related but standalone stories that slowly expanded the town’s legend. The trick, of course, was finding a premise that felt relatable with an everyman protagonist, but also that tinge of Twilight Zone mystery. James Sunderland was in town to meet his dead wife, who died years earlier. It worked. No matter how many times we watched the trailers, no matter how carefully we poured over interviews, nobody could predict what Silent Hill’s sequel held in store when it arrived that fall, but we were desperate to find out. You may imagine, having never played an RPG-lite Gradius, that not much came of my E3 meeting with Konami. The meeting was, in fact, delayed until the very end of the show. My business partner and I, with the booth being disassembled around us, made a case for our team to a random assortment of low-level Konami production and marketing folks with no power to actually make a decision one way or another. I understand their predicament, of course. Six years later, I’d be on the other side of the table as a Konami Associate Producer; intrigued by what I was hearing but searching for ways to let the developer down easy. There were ways to sneak an outside project under the Konami banner, but it certainly wasn’t me and my colleagues. We all had our own projects and concerns, largest on my mind being the immense weight of Silent Hill’s legacy, having transferred to the series mere weeks after being hired. All told I would work on all five western Silent Hills in some capacity. Crafting a Silent Hill is, like all game development, a series of difficult decisions. The very first one being, what is this game about? Unfortunately the first game and its sequel don’t make this easy. Both games were so different, so monolithically iconic, that they became the two tent poles that all subsequent entries would be modeled after, for better or worse. Half the games would expand on Alessa’s plight and aftermath, while the others twist compelling premises into standalone stories that might reference the cult story, but featured unrelated characters and themes. Each generation of games retained this balance, starting immediately with Silent Hill 3 and 4. The former trailing Heather Mason, adopted daughter of Harry, as she comes to terms with adolescence and being a host for Alessa’s reborn soul. The latter, an exploration of a serial killer via the premise of a man waking up to find his apartment’s been locked from the inside. Two Silent Hills were already in production in 2006 when I joined Konami. There was Origins, a prequel detailing Alessa’s sacrifice and how Cheryl escaped the town, and Homecoming, with 20-something Alex Shepherd returning home from war to find everyone he knew missing in action. At this point, three games to either style, and a legion of fans debating minutiae on forums, we tried to find a more meta approach to the well-trodden streets. For Shattered Memories, developer Climax Studios proposed a reimagining; Harry Mason searching for his daughter as an eerie echo of the original, but shifted and changed. New players would experience an authentic Silent Hill, but returning players would get a sort of whiplash, as their own memories were betrayed and questioned, their assumptions upended. For the next title, I pitched a concept where the protagonist, an escaped convict, belonged in Silent Hill. Would the player even want him to escape? Would the character? This approach changed as we developed it, and ultimately Downpour would follow a more relatable convict, Murphy Pendleton, undergoing a routine prison transfer that passes through Silent Hill. But as his bus derails in the woods, he finds himself still imprisoned—not simply in Silent Hill, but within the Otherworld of Anne, a corrections officer with a vendetta. Once the initial question of theme is answered, Silent Hill sequels begin like any other—weighing the core elements of the series and deciding what will return, and which things will be updated. Why? And how? What will the new content be, and how will that relate to what’s come before or what fans expect? But there’s where similarities end; as in all things, here Silent Hill carves its own path. The most concrete carryover between games isn’t a protagonist or evolving storyline, but the atmosphere, itself composed of intangibles that date back 20 years. A portable radio and a flashlight tend to be recurring tools. Fog that started out as a technical trick became an indelible part of the town. Areas of the burg like Toluca Lake or the Amusement Park are often referenced if not visited. Protagonists cross into at least one Otherworld (often quite different in appearance). Without ever becoming less iconic, every game’s soundtrack differed from the original, each developing its own sound. From Silent Hill 3 on, they would all feature the smoky vocals of Mary Elizabeth McGlynn. Player actions usually result in one of multiple endings, often including a tone-shattering UFO joke ending. While characters never directly cross into other stories, their presence may still be felt. SH4 villain Walter Sullivan is mentioned in a puzzle clue in SH2. Likewise, the landlord of SH4’s South Ashfield Heights is a man named Sunderland, whose son disappeared in Silent Hill. Any of these could be cited as critical elements of the Silent Hill legacy. Even so, none of them are universal to every game. Certain titles feature rain or snow in place of fog. Two games spend very little time in Silent Hill at all. Eventually the score would be trusted to the late Daniel Licht, best known for his sound work on Showtime’s Dexter. It’s nearly impossible to find one single thing that exists across the entire series. If the Silent Hill protagonists got together to compare notes on the horrors they faced the single thing they’d have in common would be… waking up? "For Me, It's Always Like This"
It’s late 2008, and I’m in a restroom. A real one, in the Czech Republic. We’re in temporary office space rented by Vatra, the developers chosen to create Silent Hill: Downpour, the eighth game in the series; my fourth. By now, I’ve faced my share of monsters; frustrations and complications spawned in the Otherworld of game development. I’ve defended psychological horror in the face of action-based spinoff pitches like Brahm’s PD. I debunked an attempt to bring Alessa back, as she fought for supremacy in a pitched psychic battle above Toluca Lake. I’d explained to marketing that Shattered Memories’ profiling system was a better use of resources than making the darts board interactive. I’d argued canon with angry but well-meaning E3 goers, and I’d pushed back against Pyramid Head’s inclusion a ridiculous number of times. None of those encounters prepared me for the previous hour of my life. “Pardon?” I found this perhaps his oddest statement, planning a game with a titular setting. I’d held my tongue out of shock, mostly. He declared a short break, and the teams dispersed to check email, eat cold sandwiches, chat, or in my case to gather their thoughts in a featureless post-Soviet restroom. I could picture his words still hanging in the air, sucked into the vents, dispersing across the team, shaping their views of the series and our attitudes toward it. Producer Devin Shatsky had tried to correct him at the time, but our boss dismissed it, asserting that as far as he was concerned, Silent Hill had no evolving narrative—certainly not one worth continuing. From the very beginning, Silent Hill and Konami management seemed at odds. Director Keiichiro Toyama, producer Akihiro Imamura, and their team were the outcasts of Konami Computer Entertainment Tokyo (KCET). Interviews suggest the company didn’t know what to do with them, so it assigned the group to explore the survival horror genre as a way to compete with Capcom’s Resident Evil. Toyama, having never directed a game before, floundered at the start, hoping for more support from the company. When it never came, and it seemed his team had truly been forgotten. He threw out all conventions and crafted a game that blazed its own trail into horror. While Capcom went Romero, Toyama and company went Kubrick, Lynch, and Cronenberg. They targeted the American audience with mature, psychological horror they felt fit Hollywood cinema. Even in the Japanese release, characters spoke in English voice over. When the original composer left the project, Akira Yamaoka directly requested to take over and created a horrifying industrial soundtrack even his teammates pushed back against. He persisted, and asked that they implement it properly before making a final judgement—leading to one of the most iconic soundscapes in gaming. Junior Artist Takayoshi Sato pushed his way in wherever possible, finding ways to influence the story and characters. Mainly, he had a vision of how Silent Hill should look, especially the characters and full motion video. Konami management, however, prefers that people stay in their lane and stick to their tasks. Sato bristled at this, going so far as to create a special 3D demo to show his exceptional skill and threaten to leave without sharing his knowledge. When management gave in, Sato made good on his promises of greatness, rendering his complex CG movies across KCET’s computer network once everyone had gone home for the night, likely for months. This is an incredible feat in itself, but Sato went so far as to create multiple versions of the intro, and even outtakes to play over the credits. Silent Hill was a work of passionate, dedicated creative geniuses, if not at the peak of their powers, then young enough to venerate their vision above any concerns of career, profit, or personal well-being. The development team found success with a proto-indie approach to development, an almost punk rock philosophy that took root here at the series’ origin point. But the enemy of punk is authority; something impossible to avoid in a multi-armed Japanese corporation like Konami. The development team found success with a proto-indie approach to development, an almost punk rock philosophy that took root here at the series’ origin point. But the enemy of punk is authority; something impossible to avoid in a multi-armed Japanese corporation like Konami. In interviews, the team made clear that the series would only continue so long as it was profitable. Team members left to find greener pastures, or were reassigned to other projects. 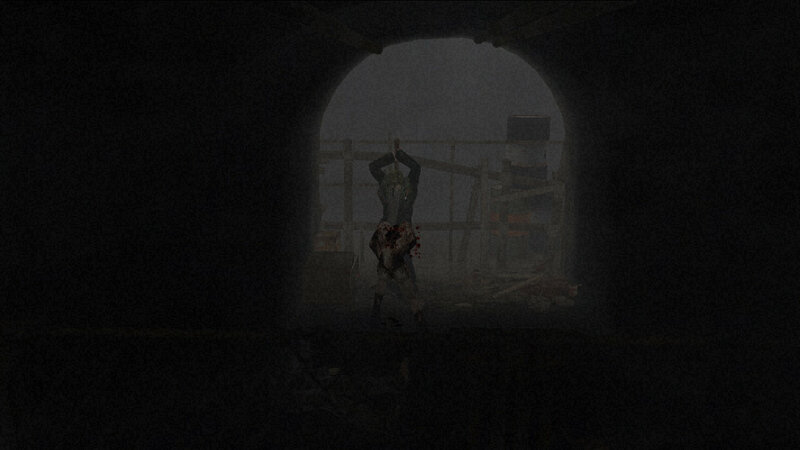 New blood was assigned to Silent Hill, almost like a testing ground. The previous director is gone, so what about you? But like Alessa’s rage, burned into the streets, so Toyama’s vision and punk ethos tendriled through Konami. The original team may have started as outcasts, but those to follow would become outcasts themselves. Things worked differently on a Silent Hill team, with the end product holding authority above supervisors and common sense. 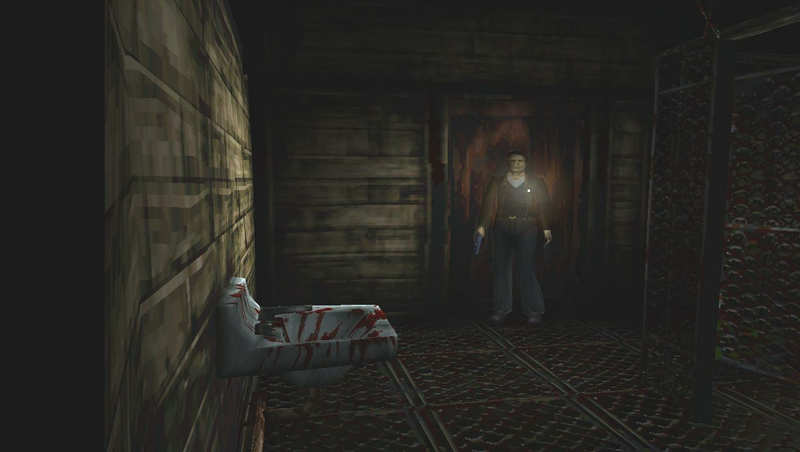 Silent Hill 2 pushed boundaries in its subject matter, to the point the team would credit a mysterious server crash as divine punishment for graphic depictions of vomit. Silent Hill 3’s art staff stepped in to fill the shoes of a departed Sato and managed character visuals that compare favorably with modern games over 15 years later. Even as Silent Hill proved difficult to market due to its style and content, Yamaoka’s dedication to creating vocal themes allowed crossover with the Dance Dance Revolution audience. This philosophy traveled overseas as well. When their U.S. office failed to deliver a compelling Silent Hill: Origins, Climax rebuilt the entire game in an improbable 8 months. When his boss insisted there was no time to compose on Shattered Memories, Yamaoka performed the work on a “consultant fee” wink wink to uphold the tradition. When that game’s schedule put our UFO ending in jeopardy, we tracked down super artist Mariel Cartwright to hand-draw it. And when the budget couldn’t expand to pay her, she offered to do it for free. Designer Brian Gomez traveled back and forth to the Czech Republic so many times during Downpour’s development that he was able to take his family to Disney World and Paris solely using his frequent flier miles. When Yamaoka was declared off limits after his departure, Mary Elizabeth McGlynn and I hatched a plan to include him on the final vocal track in the series thus far: a remix of his SH2 classic "Love Psalm," which you might be fortunate enough to hear them perform live—yet another way Silent Hill’s maestro keeps the series alive. But as Toyama’s Otherworld expanded, the greedy hands of over-management grasped for control of the forces they didn’t understand. After Homecoming spun out of control behind a fog of producer secrecy, the VP of Production forced me back in for the final months of development, along with a list of demands from himself and marketing. Long talks about the appropriate level of screen darkness for mainstream players devolved into lengthy pitches for a battery collection mechanic. When the games media balked at Konami publishing Six Days in Fallujah, marketing’s takeaway was that games about soldiers don’t sell, so they instructed booth staff to specify Alex Shepherd was not, in fact, a soldier. So on and so forth, leading to this fateful meeting at Vatra. “Nobody plays Silent Hill for the story,” his words echoed as I finished washing my hands. I thought about Homecoming and its Pyramid Head, its imagery borrowed from the film, the narratively dishonest twist that marketing instructed us to spoil anyway, and the German kid who approached me in Leipzig, before the game’s release, and thanked me for creating Silent Hill. Today’s meeting would inform Vatra’s developers exactly what Silent Hill was about, and set them off to determine its future for the next three years. If I corrected my boss, here in front of the new developer, what could happen? I could lose my job, one. Worse, I could be pulled from the series—it had happened once already (when I attempted to argue Pyramid Head out of Homecoming with all the subtlety of an internet message board). That would put Shattered Memories in jeopardy as well, the next stop on our world tour. But could I spend years working on a Silent Hill set in Alaska? Press tours where I’m forced to endorse the first Silent Hill wholly unconnected from the others? Could I let someone in authority misrepresent the series and everything the fans loved about it? I left the restroom certain of my answer. The town of Silent Hill finds ways to persist, to live on, and today that was me. I couldn’t afford to be afraid anymore. The game continued, properly set in Silent Hill. Our boss was replaced by someone who worked with us to craft Downpour and trusted our darker instincts, such as building a tutorial around stabbing a man in the prison showers. But this was an uneasy truce between authority and vision; one where the powers that be could declare Book of Memories would be a top down, procedural dungeon crawler. Though WayForward and I would fill the game with fan service anyway, it seemed management had the final word on Silent Hill. Were the phantoms of Toyama, Sato, Ito, and Owaku so ephemeral? Perhaps not. In 2014, evoking the same indie horror experiences Silent Hill had inspired, gaming auteur Hideo Kojima released P.T., a playable teaser for a project named Silent Hills. He launched it without warning, unknown to everyone until a player solved the cryptic puzzles and uncovered teaser text and a title. Most importantly, it was weird, unnerving, and scarier than the series had seemed in years. Though the demo was stricken from the PlayStation Store shortly after, it’s already grown into legend, whispers of memories lost. It remains hidden inside rare PS4s, something to stumble upon unexpectedly at a midwestern garage sale. Something irresistible. If Silent Hill has to end, perhaps this is a worthy finale. For 20 years, Silent Hill has been allowed to define itself in a market that dictates so many other games. The series evolves, but is unchanged. Regardless of medium, it’s allowed to be that weird thing. The one that is a hair too evil. A mite too twisted. Just a little too broken, for better or worse. The one film where Sean Bean doesn’t die, source material be damned. 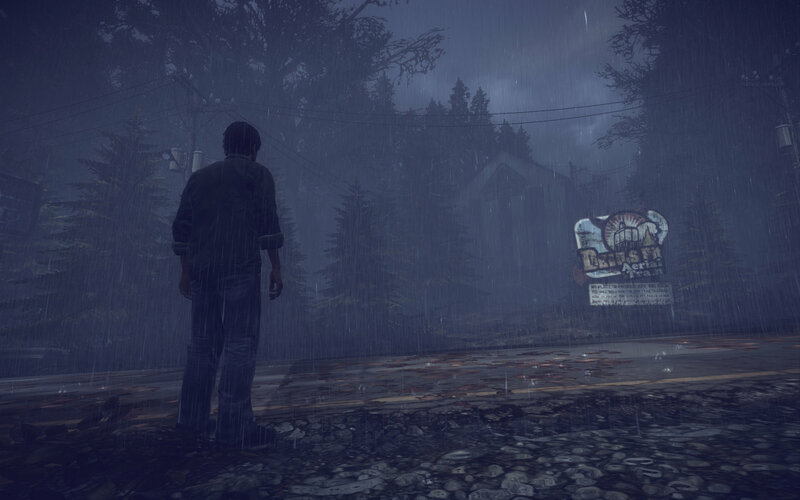 Like the Otherworld itself, Silent Hill means something different to everyone who plays it. To some, it’s the perfect realization of the survival horror formula. To others, a reminder of how powerful games can be. Fans often rate its soundtracks among the industry’s best, or laud its technical mastery in using limitations as strengths. The seeds of all these things, and more, exist from its very humble PlayStation beginnings. Konami declined USgamer's request for comment on this article. Tagged with Horror,	Konami,	PlayStation,	Retro,	Retrospective,	Survival Horror. Remember P.T.? It's back... in VR.